In continuation of my article on Cracking IIM interviews, this article aims to give you an edge over the 20 thousand odd candidates who will be writing WAT alongside you. Although heavily overlooked, WAT is a place where you can showcase your skill of being voluminous in few words and an opportunity where you can show a balanced outlook of your views. 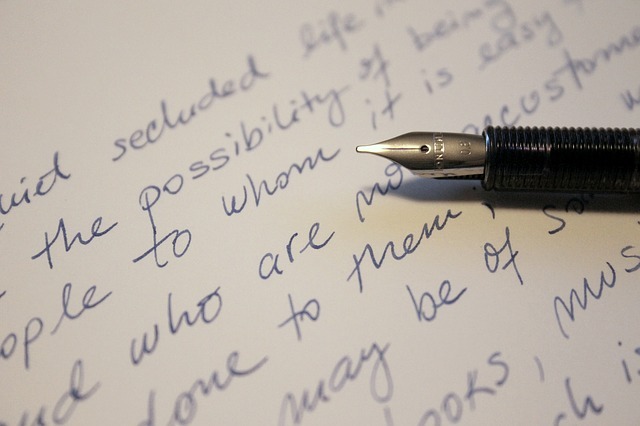 Also, having gone through an undergraduate course and possibly work experience, most of us forget the art of writing with pen and paper – Good handwriting is an unsaid necessity. My WATs at IIM were quite broad with questions pertaining to compulsory armed service for everyone to Indian contribution to pollution with Make in India. None of the popular themes like GST, Demonetization, Make-In-India was asked as straightforward questions but was asked in conjunction with another issue so that they can select those who have truly understood the issue. This also points to the fact that every topic needs to be dealt with several perspectives to ace the game. Was I prepared for all of it? No. However, did I do well at my WATs? Yes! Read daily and read on broad topics like current affairs, economics, sports, constitution, surveys and the list goes on. Maintain a notebook where you can jot down every point on whatever you have read. Back when I was preparing, I maintained a notebook where I kept writing points about the burning issues then like Kashmir Issue, GST. This ensured that before any interview, I could quickly glance at any issue and be prepared. It goes without saying that to ace the written exam, you need to practice writing. Go online, find a topic and write around 2-3 paragraphs on them on your own. The topic could range from current affairs to something as abstract as colour Red. Review what you have written and think of ways you could improve upon it. Ensure that you write at least on two topics daily to develop a flow of words. Compare a standalone statement like “GST is a huge failure” vs “As per the latest economic survey report, there would be a reduction of 2% in the indirect tax collected after the introduction of GST …”. Numbers strengthen your argument. It would help you hypothesize in your analysis and also give you an opening in a completely new topic. Always make it a point to quote the source of the data to add to its credibility. Structure, for a better word, is quintessential when it comes to WAT. Always start with an introduction which firmly establishes the topic and your stance on it. The body expounds your initial argument and strengthens it using facts. Finally, a conclusion which would end with a balanced view or in support of the stance you have taken. There is a popular notion to go neutral on any topic but it is okay to take a firm stance as long as you have numbers and fact supporting your case. Remember a well structured WAT is your first step towards the IIM dream. Ashish Thomas is a first year student at IIM Kozhikode. A curious explorer by nature, high on energy, computer science engineer by education, a consultant by profession, a food aficionado and somewhere in between is my MBA… I would love to continue on but whose keeping tab.. :D! Let the Samosa Conspiracies begin!